According to Lavigne, the album is about her life. She said: "It's so easy for me to do a boy-bashing pop song, but to sit down and write honestly about something that's really close to me, something I've been through, it's a totally different thing." The album is expected to return to Lavigne's older musical style is largely acoustic music included. With the exception of the first single from What The Hell describes Lavigne, that the songs are very different from their earlier material: "I'm older now, so I think that comes across in my music, it's not as pop-rock and it's a little more mellow and it's deep "
She said, "[For] this record, I just really, really wanted to sing .... I just want to have silence around me, and have these acoustic songs and really deliver." Lavigne described the first single from the album, What the Hell, as "a clear message of personal freedom" and their "greatest pop song on the record" and remembered as the least personal song for her album that most of their earlier work. Another song, "Stop Standing There", has been described as if it had a beginning-of-1950s girl group feeling "and" Smile "is intended to represent Lavigne's gratitude for the special people in their lives. "Push" is about relationships and "Wish You Were Here" shows Lavigne's vulnerable side. Lavigne described the song "Everybody Hurts" as "different [...] but otherwise in order of who I am and what I'm getting lost. (But not different to stray away from who I am and what I am)" Goodbye " , wrote one of the two songs that Lavigne and even produced, is about movement in life. 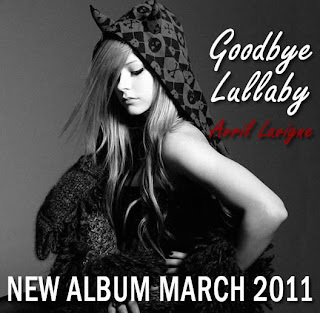 Lavigne indicates that "Goodbye" is the most personal song on the album and the inspiration for the album title was.